Our qualified and trained staff provide nursing services around the clock, physiotherapy, medical rounds, psychosocial counselling (individual and group), health promotion activities, and assisted transport services when follow up or outside care is needed. Staff are paid a consistent wage made possible by the generous financial support of our donors. Since the earthquakes, more than more than 500 patients of all ages, ethnic groups, religion, caste and genders have passed through the doors of NHEDF. Samrat grew up in Kathmandu, Nepal. He obtains a B.E degree in Electronics and communication from Nepal Engineering College and has experience in biomedical field. From the last 10 years he has been working in various healthcare institutions as a service engineer. He is the one who developed the concept of NHEDF. Shyam Gurung grew up in Kathmandu, Nepal. He is an active member of Manang Marshyangdi football club. He is also an active social worker and always wants to help others. 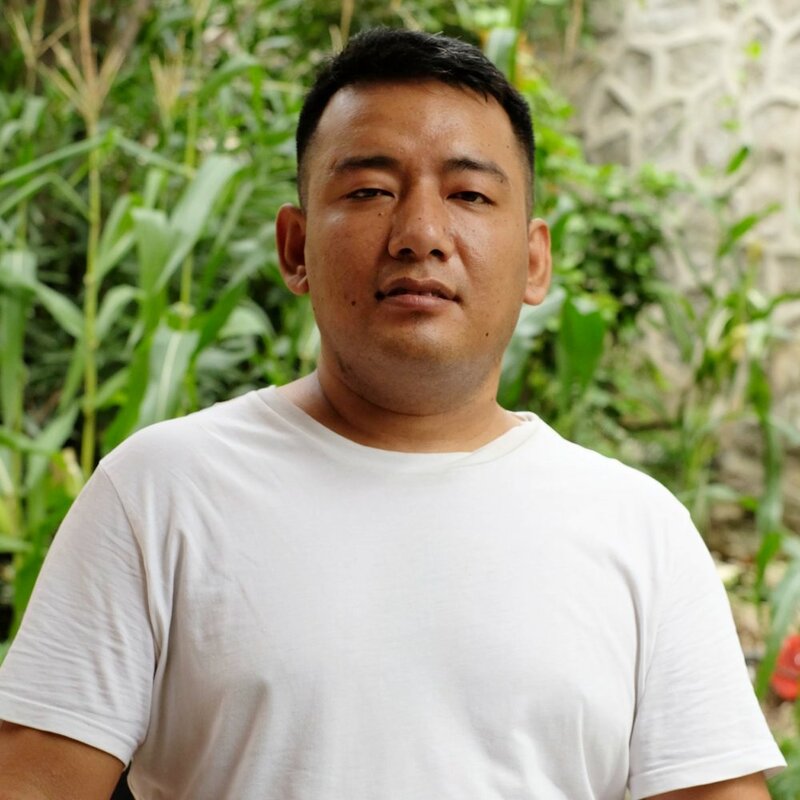 Riten Rai grew up in Dharan. He got auto mechanic training from Sanothimi technical school, Kathmandu and started his career in an auto workshop. After working in few international companies he joined ALICO as a market representative. Now is an active member of this organization. Completed MBBS degree from Nepal Medical College in 2007. Now she is working at Armed Police Force Hospital as a medical officer. She was born in Kathmandu, Nepal. She has professionally worked as a teacher in various institutions for the past 8 years. Currently she is running a cafe which is also partly a social enterprise. Completed MBBS degree from Nepal Medical College in 2007 and Doctor of Medicine in Pediatrics from Philippines. Now she is working at Norvic International Hospital as a Pediatrician. Yashodha was born in Sindhuli. She completed her ANM from Sindhuli and started working with NHEDF. Now she is doing her Nursing course as well. Manju Bhandari was born in Syangja district of Nepal. She fineshed her PCL Nursing from kathmandu and joined NHEDF as staff nurse from January 2017. Kusum was born in most remote part of Nepal. As her father was an government officer she was moved to Kathmandu and started her further education. She joined NHEDF as a volunteer for 6 months and started working as a permanent staff nurse. Kunga was born in the Mustang district of Nepal, one of the country's most remote areas. She first came to city to pursue higher education. After her PCL nursing course she joined NHEDF as a paid volunteer for six months and now she is working as a staff nurse. Anjeela is a Kathmandu Native. Before joining NHEDF she was practicing physiotherapy in private hospital. She is interested in social Service and helping needy people. Her hobbies are traveling and exploring new places. Rajani was born in Kathmandu. 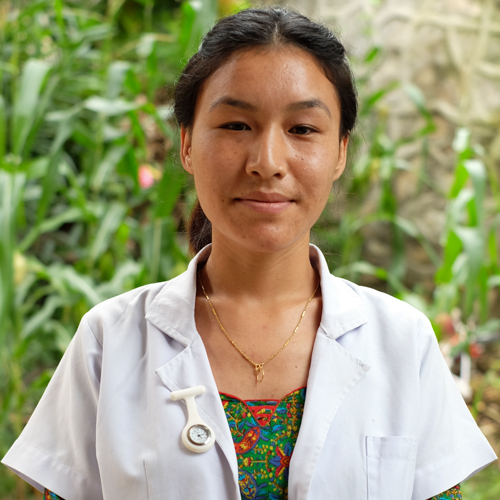 As she is very much interested in the health sector she chose to be a nurse and completed her PCL nursing in the Kathmandu. Virginia is an Australian Nurse. She has visited the country almost thirty times over the last twenty-one years.She followed NHEDF on Facebook for many months and was very impressed with what we were doing. She set up Roads to Rehab Nepal to raise funds for NHEDF. Annelis is a Skin Therapist from The Netherlands. She did some volunteering for NHEDF and recently started the foundation Care 4 Nepal together with Titia Boers and Hanneke Hendrikse-Bastiaans. Matthew grew up in the United States where he earned an education in marketing communications. He joined NHEDF in the summer of 2017 as a volunteer, providing marketing guidance, content strategy and on-site photography. He lives in Malmö, Sweden where he works as a digital marketer and studies sociology with a development focus.